Do you have files that you do not want others to see? Perhaps you keep your tax returns archived on your hard drive. Or your employee's files at work. 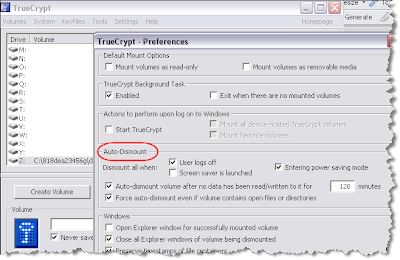 Using a very simple, free program you can protect those files from others accessing them using TrueCrypt. Version 5.1a was released March 17, 2008, so you know this isn't some beta software you're running. If you're like me, you have multiple sources of audio, and getting them all into one iTunes is a problem. Sure if you're ripping a new CD, iTunes makes it easy; but if you're merging existing digital collections, it can be very time consuming and error prone. No longer is this a problem with the iTunes Library Updater (iTLU). Seems the investigation by the FCC on how Comcast handles its network traffic management is having an effect on who Comcast does business with. As reported in today's Wall Street Journal, Comcast is now working with BitTorrent to find an acceptable solution for network traffic management. Currently Comcast has just discontinued any P2P traffic during busy times by sending requests to discontinue communication to each party. 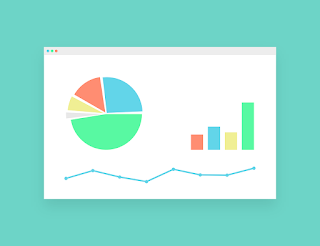 Download Statusbar offers several ways to view the status of your downloads using Firefox without the annoyance of a separate dialog box. I've chosen to use the mode where it's just another icon on the status bar. You can opt to have an additional bar added above the status bar when downloading. 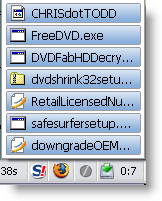 After your file has downloaded, through a simple hover, you can see all the specifics about the downloaded file(s). For example, you can see the site you downloaded it from, the file size, and the time it took to download. 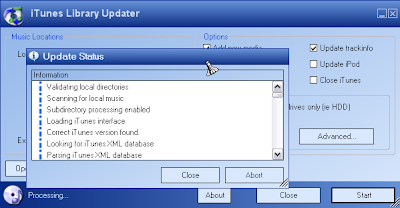 Additional options include a notification when complete and even an auto-virus scan. I like it just because it reduces the clutter. Over the next few days my new domain name will start propagating across the Internet. the-cream.blogspot.com will become www.CHRISdotTODD.com. The plan is to continue offering Windows XP on select Dimension and Inspiron systems until later this summer.InfoWorld is sponsoring a petition to encourage Microsoft to continue selling XP beyond the current deadline. Before you sign the petition, you may want to review InfoWorld's privacy statement. Starbucks has a new site for ideas and voting ala Digg -- My Starbucks Ideas. I'm not sure where this will go with Starbucks in the long-run, but its a great attempt at gathering direct customer feedback. I also like that Starbucks outsourced this through Salesforce.com instead of building themselves. I think it is still much too common for organizations to think that they can develop something better and cheaper than what they can buy or borrow. Starbucks needs to continue making good coffee and having great marketing; IT and web development does not need to be a core competency. Of course Mt. Dew has had a website for as long as I can remember, though I haven't spent much time checking it out. [I do recall many years ago as part of a going-away party for a colleague, I searched for Mt. Dew sites on the Internet, and found many, many of them.] Mt. Dew is in the middle of it's own contest to encourage customer interaction. 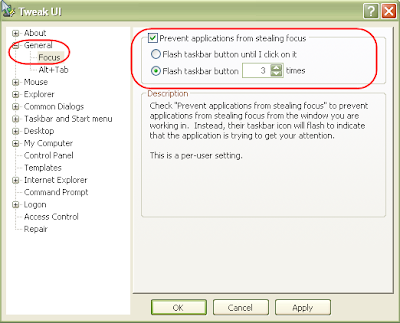 Most Windows users know that we can hit Alt-Tab to switch from one active Window to another (or Alt-Shift-Tab to go backward). Windows XP displays icons for each of your open applications and puts the title of the document or page underneath. This can be quite difficult to find the application you are looking for with just an icon and text. There are three replacement programs for Alt-Tab that I found, which give you a preview of the application as you use Alt-Tab. First, there's the PowerToy from Microsoft, Alt-Tab Replacement. If there was no other choice, this would be better than the default functionality in Windows XP. I recently found a new RSS Reader, viigo, which works on my Blackberry. It's easy to install, and it just works. It comes pre-installed with some existing channels, which you can remove. You can also add more through browsing a list provided or by entering your own feed URL. You can also go to the viigo website and add feeds through their interface, including importing an OPML file. 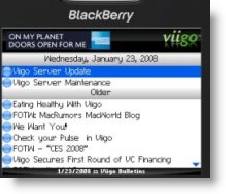 viigo also supports three aggregators: bloglines, Google Reader, and My Yahoo!. I find this a great way to keep up on news while waiting around, whether for a meeting to start or an appointment. No longer do I sit and be bored reading last years issue of Time or National Geographic; I now have easy access to content I am interested. Posting and viewing pictures on the Internet has become a popular activity with sites such as Flickr and Picasa, as well as social networking sites Facebook and MySpace. I have always thought that the quality of the photos are not what they should be; now my opinion has changed. 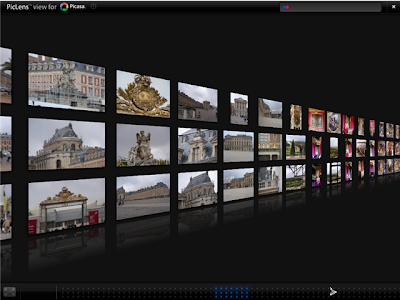 With the PicLensplug-in for Firefox, Internet Explorer, and Safari, there is a new way to browse pictures that really helps bring out the quality of high-resolution photos. In a blog on February 26, 2008, I told you about Comcast being investigated by the FCC for their network management -- specifically P2P apps. I also suggest that you should quit using Comcast as a vendor. Well today I canceled my Comcast services as I now am using Verizon FIOS. So far, no problems with Verizon's service. Now, only time will tell. Some colleagues at work have been touting AutoHotKey as a good way to write macros for Windows. I thought, "what do I need to write any macros for?" Well today I finally had a need, and AutoHotKey came through with flying colors. AutoHotKey is an open source macro program for Windows. You can use it to replace keyboard, joystick, and mouse operations; you can even save it as an .exe so you can run your macros on machines that do not have AutoHotKey installed. The New York Times just released an article that indicates the problems within Microsoft with Vista. “It would be a lot less costly to do the right thing for the customer now,” said Robin Leonard, a Microsoft sales manager, in an e-mail message sent to her superiors, “than to spend dollars on the back end trying to fix the problem.”This is just one of the many quotes found in this article. How about the 3 strikes of Vista Capable branding? It's there too. If you bought one of these products, you should know that "Last month, Judge Marsha A. Pechman granted class-action status to the suit, which is scheduled to go to trial in October."